Theatrical adaptation by Louise Naubert of the poetic narrative by Patrice Desbiens, Les Cascadeurs de l’amour published by Prise de parole. Created in 1999, at the North York Centre for the Performing Arts. 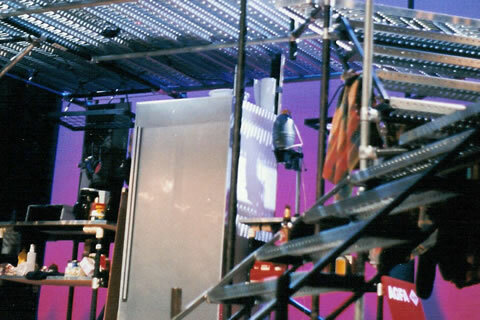 Opening performance at the Festival des 15 jours de la dramaturgie des régions in 2000. Performed at the Festival Les Météores à Douai (France) in March 2000. Performed at the Théâtre du Nouvel Ontario (Sudbury) and at La Nouvelle Scène (Ottawa). A man traces back the origins of his troubles in the realm of love to better understand the cause. Difficult to grasp, the couple dissolves in the vapours of alcohol. Reality and fiction collide over a poetic narrative evoking disturbing images and seductive in its crude language, without euphemisms. A forceful text, at once funny and touching, a theatrical adaptation inspired by the works of Kadinsky. Surrealism, reconciliation of man with himself through the dream, the desire, the rebellion and Her, mediator between the world and himself. Marcel Aymar (Him 1), Patricia Marceau (Her) et Pierre Péloquin (Him 2). Marcel Aymar (Him 1), Marie Turgeon (Her) et Pierre Péloquin (Him 2). 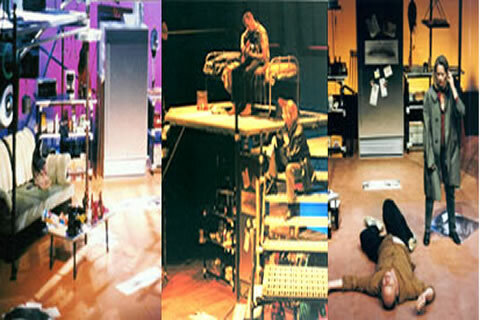 Selected in 1999 by the Festival des 15 jours de la dramaturgie des régions as the opening show. Recipient of the Masque de la meilleure production franco-canadienne 2000. 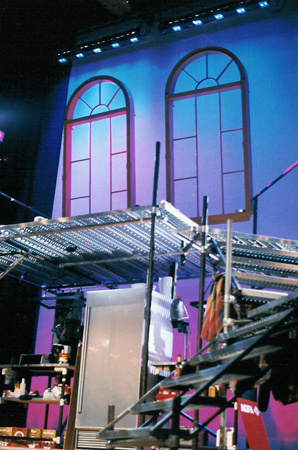 20 performances : Toronto, Ottawa (Studio du Centre national des Arts, La Nouvelle Scène), Sudbury (Théâtre du Nouvel Ontario) and Douai (Festival Les Météores – France). Radio drama of Les Cascadeurs de l’Amour produced by CBC radio in the spring of 2000 and broadcast on the national network.